Firebug 1.8 compatible with Firefox 5.0 has been released and I would like to get this opportunity and introduce some new features in this version. See detailed description of this feature with examples how to use it. This feature is back and better than before. Now you can adjust height of the preview by drag-and-drop to see more or less content as necessary. Script location list available in the Script panel adjusts its size automatically according to the screen size and uses scroll-bar as needed. This makes easier for the user to pick up the right script. Command line content is now persistent across reloads. This feature allows to quickly execute the same expression on different pages. 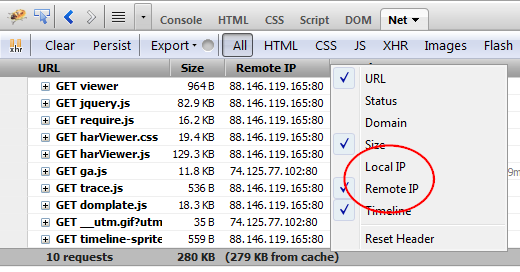 This is one of many little details that make Firebug the indispensable tool. A tooltip with color preview is displayed for colors specified in various formats. Supported formats are: hex, rgb, rgba, hsl and hsla. Firebug is great when tweaking CSS of the current page to perfection. Now, there are also new keyboard shortcuts for changing CSS values (numbers). Firebug 1.8 introduces a new %line argument that allows to open the external editor scrolled at the right position (according to the current scroll position in the the Script panel). 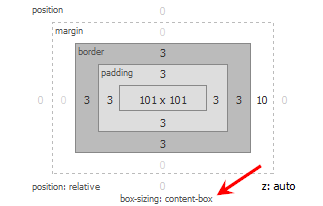 CSS3 introduced a new property called box-sizing, which allows the user changing the box model for an element and thereby influence element layout. Value of this property is now exposed in the Layout side panel. thanks for the rgba() stuff. Looks better than ever! Thanks. Firebug gets even better. Thanks for this – Firebug is an unbelievably valuable (and essential) toolset. Hey! Thank you Firebug :-D & also exposing the compatibility chart. Keep up the food work, really appreciated! Firebug is still a web developer’s greatest asset. What happened to the Firebug Icon in the Add-On bar? Do I need to just remember that I press F12 to open the Firebug panel? The icon is now displayed in Firefox toolbar by default. You can use “Customize Toolbar” dialog to put the icon on the Add-on bar. I was looking for this a long time ago, thanks Mr Honza. Ah! There it is in the upper-right… I tried doing the customize toolbar thing earlier before I originally posted, and I did not see firebug in the available icons to add to the Add-on bar. oh well, I can get used to it being up in the right corner. You need to ask the YSlow team. Of course, we are ready to help them!